MICHAEL A. VENTRELLA: Today, I am pleased to be interviewing Donna Galanti. 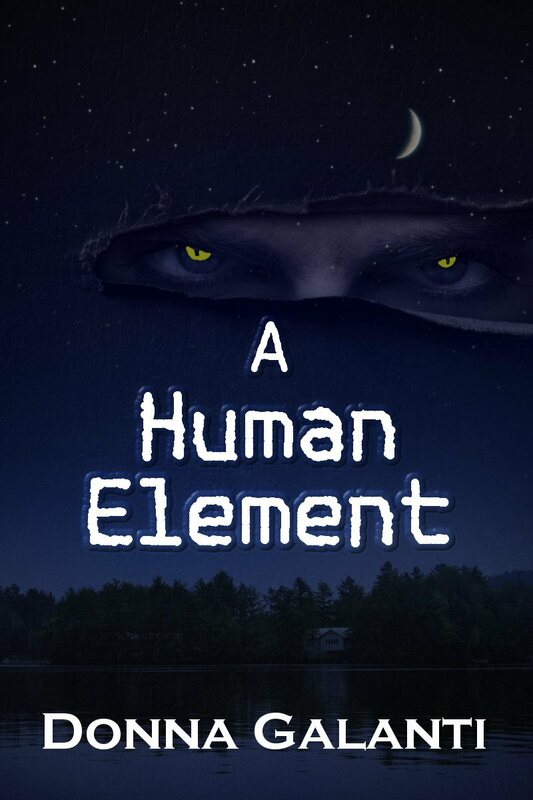 Donna is the author of the paranormal suspense novel A HUMAN ELEMENT (Echelon Press). She has a B.A. in English and a background in marketing. 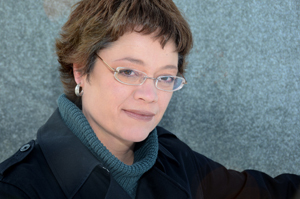 She is a member of International Thriller Writers, The Greater Lehigh Valley Writers Group, and Pennwriters. Her blog is here. You can connect with Donna here on Twitter and Facebook and purchase her book here! Donna, your first novel has just been released. Tell us about it! In my paranormal suspense novel A HUMAN ELEMENT, Laura Armstrong’s friends and adoptive family members are being murdered, and despite her unique healing powers, she can do nothing to stop it. The savage killer haunts her dreams, tormenting her with the promise that she is next. Determined to find the killer, she follows her visions to the site of a crashed meteorite –- her hometown. There, she meets Ben Fieldstone. In a race to stop a mad man, they unravel a frightening secret that binds them together. But the killer’s desire to destroy Laura face-to-face leads to a showdown that puts Laura and Ben’s emotional relationship and Laura’s pure spirit to the test. With the killer closing in, Laura discovers her destiny is linked to his and she has two choices –- redeem him or kill him. Readers who devour paranormal books with a smidge of horror and steam will enjoy A HUMAN ELEMENT, the new novel about loss, redemption, and love. “A HUMAN ELEMENT is a haunting look at what it means to be human. It’s a suspenseful ride through life and love…and death, with a killer so evil you can’t help but be afraid. An excellent read.” –Janice Gable Bashman, author of WANTED UNDEAD OR ALIVE, nominated for a Bram Stoker Award. VENTRELLA: How did the idea originate? GALANTI: It came to me in a flash from nowhere 15 years ago driving to work. I wrote the entire outline on my lap as I drove (dangerously) and shelved it until 2 years ago. VENTRELLA: Do you tend to outline heavily or just jump right in? What is your writing style? GALANTI: I do outline but when I over-outline I can’t get started. I tend to write an 8-10 page preliminary synopsis, bulleted chapter outline, and a 1-page worksheet detailing each character. I like to write “from the dark places” in the third person. A HUMAN ELEMENT has a ton of dark in it from murder and mystery with an evil paranormal thread. 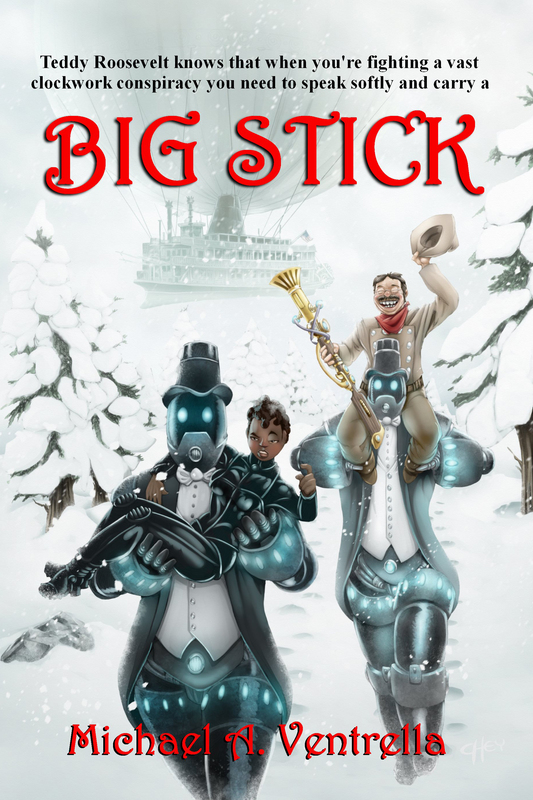 However, I did challenge myself to write a middle grade adventure fantasy recently in the first person and had a lot of fun. VENTRELLA: Aspiring authors often seem to think that writing a book is easy and your first one is sure to be a huge hit. What writing experience did you have prior to publication? GALANTI: I definitely don’t think it’s easy or a sure thing to be a huge hit. Being a writer is constant learning and improving your craft. You may write a good book but you still need other elements like having professional editing skills, a good cover, and be marketing savvy. Before this novel came out I was writing in one way or another since I was seven. I majored in English and Journalism in college and did some news reporting for Gannett News Service. I eventually ended up in marketing communications and after several layoffs launched my own resume writing service and also became a freelance advertising copywriter. I closed up my resume business to write novels. GALANTI: Writing a book before I learned the craft. I became involved with other writers and took writing workshops after I finished my first book. This required going back and fixing a ton of things! I don’t regret the learning that took place afterwards as I can now write a better book from the beginning. And hopefully keep learning and writing even better books. The sequel (in progress), A HIDDEN ELEMENT, starts out fast and dark and propels you into an evil underworld where chaos, despair, redemption, and murder reign. VENTRELLA: OK, let’s be honest here — You (like me) are with a smaller, independent publisher. Of course, we’d both like to be with Random House or some other huge publisher, where we could be easily found in book stores. Did you make an effort to obtain an agent first and go the traditional route or did you instead look to the smaller publishing houses for your first venture? GALANTI: I did submit to agents first, yes. I spent several months doing this and waiting on feedback from manuscript requests. However, I knew my premise was a harder sell for a debut author as it crosses genres in a blend of paranormal, romance with a smidge of horror and sci-fi. I believed in the story and so did Echelon Press, a small press with a solid 10 years in the industry. Karen Syed, the president, worked with me on developmental edits before I even signed so she was invested. I’m also not focused on “getting in every brick and mortar bookstore” in America. I am focused on being seen at the online bookstores. GALANTI: Definitely personal attention. I like that. I also like that Echelon Press honored my title and delivered on the cover I was pursuing. They listened to me as an author, and I was not treated as a product. I also have much leeway with my own marketing, and as a former marketer I like having that control. These days, it takes much more to be a successful author than merely writing a good book. What efforts have you made to publicize yourself and do you think they have been worth your time? With a book coming out, one in editing, and one being written – I’m finding out that this is only half my author time spent. The other half is “being seen.” And it’s absolutely worth the effort. I have an active blog where I post and host guest authors. I’m also active on Twitter, Facebook with a personal and author page, and GoodReads. It takes time to build relationships in all these places and manage them while promoting others too, yet I have met many supportive peers through these avenues and built a network of readers and professionals. I am currently running a blog tour (as seen here!) which involves multiple articles written, a grand giveaway, and a GoodReads giveaway. I also coordinated a book launch (4/21 at The Doylestown Bookshop) and wrote several press releases around the locales in A HUMAN ELEMENT. VENTRELLA: I’ve met so many people who think self-publishing is the way to go, and I have tried to dissuade them of this idea. What is your opinion? GALANTI: I honestly think a writer should start at the top and work their way down. It takes patience and waiting. Lots of waiting. I understand some people don’t want to wait. I gave myself a timeframe to look for agents and decided, after that time, it was best to go with a small press. I don’t regret it, as it allows me the ability to sell my books at conferences and be on conference panels. These are some things self published authors may not have access to. Yes, there is still a stigma. I also could not have become an accepted active member in International Thriller Writers if I self published. That being said, I see many authors with much success being self published. If you are marketing savvy I believe you can have success with it if you deliver a good product, great cover, and know how to be seen. Being a debut author, I think there are benefits to having a respected publisher standing behind you. Michael, thanks for having me on. This was fun! Totally agree with you about small publishers being more personally involved and accessible. You are a hard worker, Donna, and success will be your payoff. Can’t wait to see what comes next. Great interview Donna and Michael. Lots of effort is required I am finding out, but well worth it. I think the “in between genres” reason is a great one for going with a small publisher, and to be sure, there’s nothing like feeling the love from your first publisher! I agree Karen did great with the cover. Kathryn, thanks! yes, small publishers allow for more flexibility it seems when your book might not fit snugly into one specific category – and that means we, as authors, can write what inspires us more so and not by industry trends. I hope!